You might as well laugh: Day 3 of the Winter Meetings, for anyone who missed it. True story: My wife and I share a birthday. Same exact date, three hours apart to the minute. Wednesday was our birthday. We didn’t get to spend the day together last year. This year, a simple dinner would do. So I told my editor months ago that I was booking a three-night stay at the Winter Meetings hotel, then taking off Wednesday night. Play it by ear Thursday. I pulled out of San Diego with the Jimmy Rollins trade still simmering, not looking like it would be resolved Wednesday, and Dee Gordon and Dan Haren firmly about to become Marlins. Checked with sources, felt good about the story, filed it at a Starbucks in Temecula, barely caught wind of the Brandon McCarthy signing before I turned off my iPhone. Because no good husband would constantly check his iPhone looking at sports news or doing work stuff during the birthday dinner. 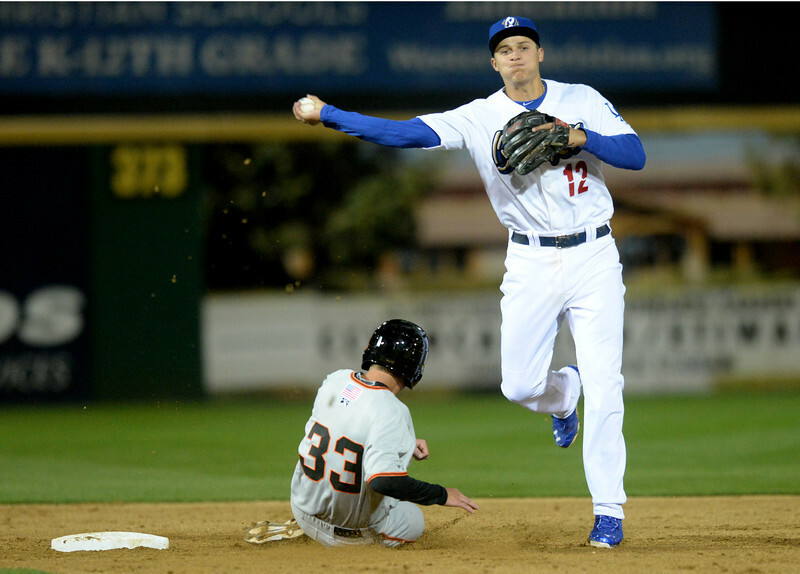 On Corey Seager and the Dodgers’ pursuit of a shortstop. SAN DIEGO — I touched on the Dodgers’ pursuit of a shortstop in today’s Winter Meetings notebook, but general manager Farhan Zaidi offered more to say than I had room in print. Reports: Hanley Ramirez will sign with Boston Red Sox. 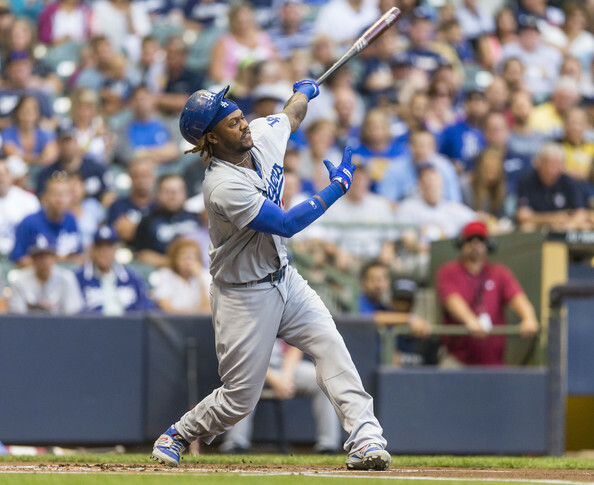 Hanley Ramirez was not expected to return to Los Angeles in 2015. Andrew Friedman’s decision to let him sign elsewhere was going to save the Dodgers a lot of money wherever Ramirez signed, but it was not terribly difficult. The Dodgers had good reason not to give Ramirez a multi-year contract, and Ramirez did not reject the Dodgers’ qualifying offer only to sign a one-year deal somewhere else. The Boston Red Sox had several reasons to take an interest in Ramirez. They have a designated hitter, David Ortiz, who turned 39 on Tuesday and can become a free agent after the 2015 season. They have their shortstop of the future, Xander Bogaerts, already in place. They have a glaring need for offense at third base (Boston third basemen had a .580 OPS last season, 14th in the American League). They also draft seventh in next year’s entry draft. Only the teams that draft 1-10 are able to sign a player who rejected a qualifying offer and keep their pick, so the Red Sox had more incentive than some teams to make a big pitch. Sources say Hanley’s deal with #RedSox will be in range of five years, $90M. Dodgers announce NLDS roster; Paco Rodriguez, Joc Pederson, Darwin Barney cut. The Dodgers will carry 12 pitchers and 13 position players on their roster for the National League Division Series against the St. Louis Cardinals. 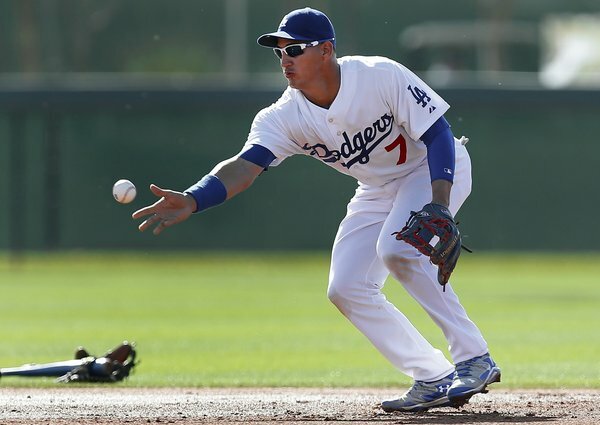 Among the final cuts were left-hander Paco Rodriguez, outfielder Joc Pederson and infielder Darwin Barney. The Dodgers will carry four starting pitchers and eight relievers, including two left-handers: Scott Elbert and J.P. Howell. First wave of Dodgers call-ups arrive, sans Carlos Triunfel (designated for assignment). Of all the transactions the Dodgers made Monday, when rosters were allowed to expand past the previous 25-man limit, only one could be considered a surprise. Infielder Carlos Triunfel, whom the Dodgers claimed off waivers from the Seattle Mariners in April, was designated for assignment. By removing Triunfel from the 40-man roster, the Dodgers were able to add Joc Pederson to their 40-man roster. Pederson was joined by infielder Alex Guerrero, catcher Tim Federowicz and pitcher Yimi Garcia on the Albuquerque-to-Los Angeles express Monday. Infielders Miguel Rojas and Erisbel Arruebarrena and pitcher Carlos Frias are expected to arrive in the Dodgers’ clubhouse tomorrow. Pederson and Garcia will be making their major-league debuts.